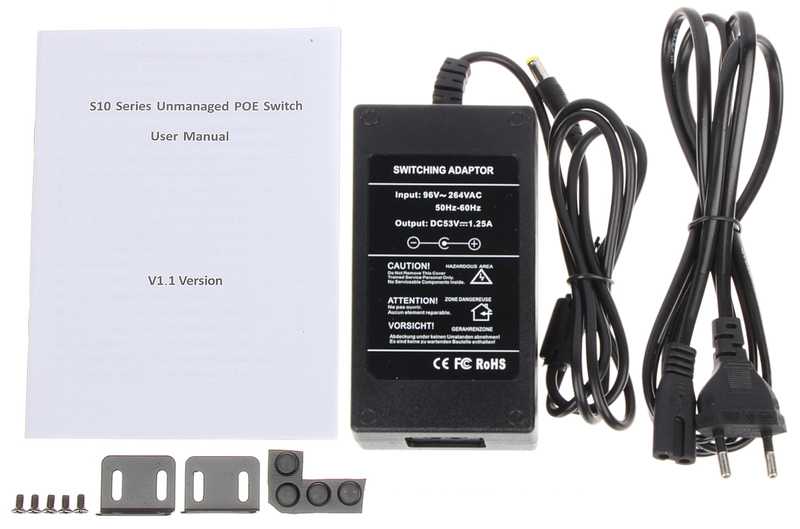 Due to reliability and ensuring high quality of transmission, the GTS-A1-06-42 10/100M 6-port PoE desktop type switch is perfect solution for expanding home or office network. 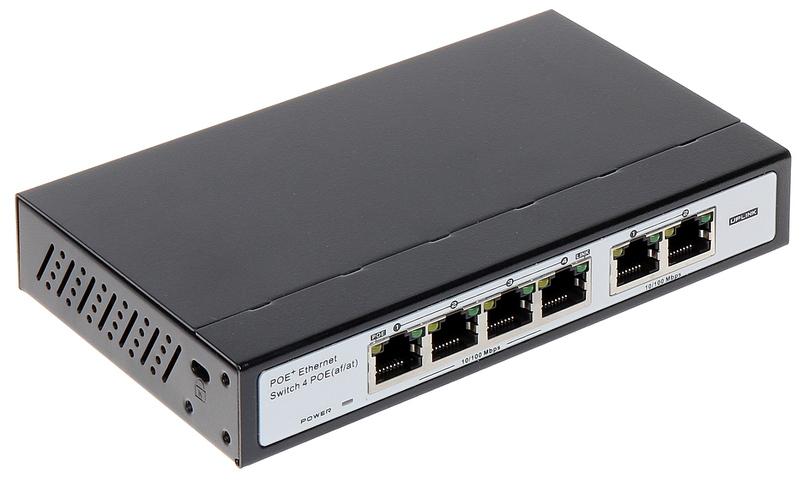 Four ports support Power over Ethernet (PoE) function. PoE powering possibility, compatible with the 802.3at standard makes the device more universal and easier to install. Attention! After switching VLAN button to enabled, PoE distance reaches up to 250 m, but bandwidth falls from 100 Mbps to 10 Mbps.